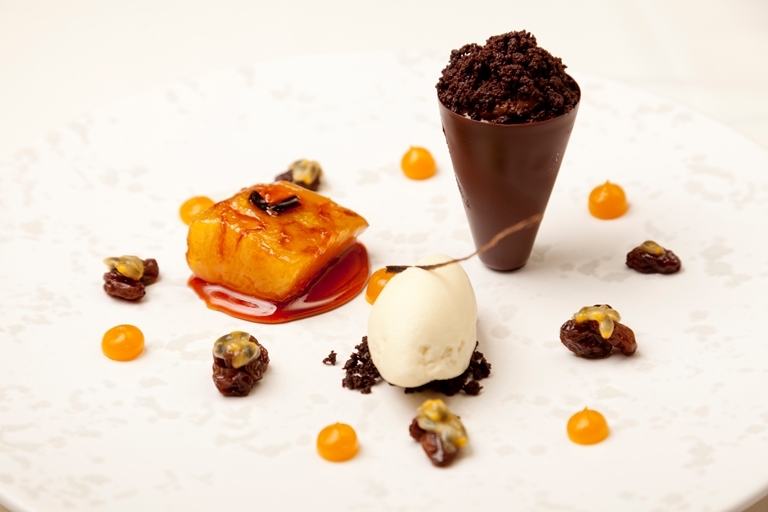 Steven Smith's intricate poached pineapple and chocolate recipe parades exotic ingredients, as he explains: "I have reached for the flavours of the Caribbean for a contrast between sweetness and acidity. Here we can see classic complements, including coconut rum, raisin, pineapple and chocolate. It's the perfect pudding for any sweet tooth."